PHANTOM upgrade kit provides a convenient solution for using Zenmuse H3-2D with PHANTOM. 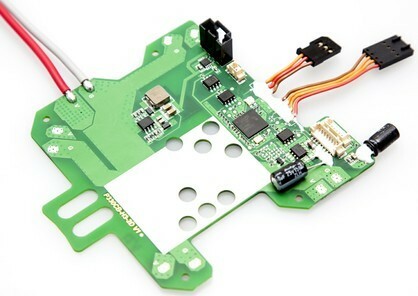 Integrated Gimbal Control Unit for H3-2D, a 6-pin port is used to connect to a wireless video transmission module and 8-pin port is used to connect to Zenmuse H3-2D. PHANTOM slide lever is an upgrade accessory for the PHANTOM transmitter; the slide lever can be used for gimbal tilt control. After this update, make sure to reconfigure parameters and do X1 calibration in the assistant software, compass calibration is also required.